Zhu Xi was one of the greatest teachers of Yi Fa, and responsible for its fullest elaboration in Chinese Philosophy. He was a strong advocate of cultivation practice in an age where it was not generally approved of by the intelligentsia. His fellow scholars tried to claim that the I Ching should only be studied as a philosophical text, and not actually used; and many of them dismissed Qi Gong and meditation entirely as merely 'mystical' activities that were unnecessary. They believed that a sage only needed to memorize and repeat the classic teachings, or speculate on intellectual matters. Thus, Zhu Xi had to restore conditions in Cultivation practice that were in a strong state of disrepair. He brought back significance and legitimacy to the active practice of cultivation work, and explained how this was vital to the process of self-transformation. 1. Zhujing: maintain a state of composure. In other words, step 1 is to remember to relax and be present. 2. Zhen-tu: Attention in solitude. The practice of Showing Up to reality, letting yourself become attentive and sensitive to the sensations of your body and consciousness to detect the "weifa" (unmanifested reality) within the "yi fa" (reality). 3. Xing-cha: self-inquiry. You must seek to understand the nature of your own being and the sources of your qualities in the past. 4. Cun-yang: "Preserve and nourish". You must hold to your original nature. Find the most natural way of your being and help it be nourished. The 'most natural' here does not mean the easiest or your baser impulse, but rather your higher nature, the Superior Individual. 5. Ke-ji: "conquering the self". Overcome your own tendencies and outside influences to maintain discipline in practice and develop Virtue. 6. Jing-zuo: quiet contemplation. Collect your thoughts, nourish your consciousness. 7. Ke-wu zhih-zhih: "grasping the whole pattern (of events and phenomena)". Observe beyond the merely visible, by making use of your mind, intuition and consciousness, within and without you. Thus you will achieve "guandong", usually translated as "interpenetration": the state of seeing the connections in all things. 8. Xing: "practice". Ceaselessly continue in your practice, ceaselessly apply what you have practiced to your life. Chinese tradition has long associated the mason's instrument known as a 'plumb rule' with the concept of upright bearing, much as similar traditions do in the west. In Qi Gong terms, the "plumb rule" is a way to do testing, to check your posture when in the standing meditation position. Please feel free to share, and as always, if you are interested in membership in the Yi Fa Society please get in touch! The lineage of this society begins with Swami Anand Nisarg, and then retroactively comes to include the likes of Zhu Xi, Shao Yong, Cheng Hao, Lu Dongbin, Dong Shongzhu, Zi Yi, and Kong Fuzi. This is only the redacted list, of course, there are many other great luminaries and forgotten masters have retroactively joined the current of authority of the society. Aleister Crowley was also offered a membership but being busy with the A.'.A.'. (another universal order but focused on western symbols, that otherwise has almost identical goals to the Yi Fa Society), he declined full involvement and took an honorary membership instead. In spite of this remarkable list of incredible figures associated retroactively with the school, I would advise you that if what you are looking for is some kind of impressive traditional authenticity above all else, you should probably look elsewhere. Odds are that if you do, you will gladly find someone who will lie to you about how old their secret society is, and then you could happily join. You might even be really lucky and find a school that has incontrovertible proof that it was founded centuries ago by some amazing but long since non-living Master, and then you could marvel at being a member of a society that may have once been worth something though almost certainly will not be today, after centuries of mismanagement by worthless 'lineage-holders'. On the other hand, if what you want is to work in an authentic, modern, universal and living system of self-transformation with a breathing and walking teacher who has done it himself, the Yi Fa Society might be for you. Someone had commented once, on the issue of challenges to the I Ching, specifically that the I Ching is really not different from using a Magic 8-Ball. The thing is, the way a lot of people use it, the I Ching isn't any better than a magic 8-ball! There are different forms of divination; you have the Simple Oracle, at the lowest level. This is where you can just flip a coin, shake a magic 8-ball, open a book to a random page. In terms of the Technology of Divination, this is something that works only on the basis of being just an aid (a catalyst, really) for your own intuition. Divination through coin-flipping or bibliomancy or baseball cards for that matter would all be based purely on your intuitive reaction to what is being done, it adds nothing by itself, and so really the method you use is interchangeable with any other in that case. The thing is, more sophisticated divination technologies are often used by people as though they were Simple Oracles. Anyone who says they're an "intuitive reader" of the tarot cards, and just draws a bunch of cards, has no previous study of their structure or symbolism, and only 'reads' them by looking at the pictures and asking themselves what they think it means, are just using the Tarot as a Simple Oracle. If you do the same with the I Ching, again you are using it only as a simple oracle (though being a textual rather than purely visual divination system, it has some safeguards against that). If you use Tarot or I Ching in this way, it is LITERALLY NO DIFFERENT than using a magic 8-ball. The next higher level are divination systems that have some form of metaphysic; that is, a set of symbols that are meant to reflect a model of reality. The Tarot, Runes, and I Ching all have this, as does Western, Indian and Chinese Astrology; but so do many other simpler systems (if you got four cards and said "these are earth, air fire and water", that would already be a metaphysical divination system). These depend on you actually having some kind of knowledge of what that symbolism is; so if you use Tarot or Runes or I Ching but do no study at all of the symbolism of its component parts, you are still in fact using these as if they were simple oracles (though you can argue that the inherent 'collective unconcsious' impact of the symbols themselves, even if you don't understand them at all, might still make them slightly better at being simple oracles than if you tried to divine with baseball cards or bottle caps). They differ from simple oracles in that when you use them you are now doing TWO things: you are still tapping into your personal intuition, but you are now ALSO tapping into the archetypal symbolism of the metaphysics being used in the system. This allows you to receive insights into the nature of reality that come out of something other than your own self. The highest level of divination technology are systems that have not only a metaphysical but also a Transcendental element to them. These systems not only show you a model of reality, they also contain a framework (either inherent or evolved out of the symbolism) that puts your divination work in the context of what western magick calls "The Great Work"; or what in the east is sometimes referred to as the Buddha Path. That is, the work of self-transformation, not just to make the right decision but to seek to transcend one's own self/ego and attain permanent states of higher consciousness. You are using the system not just in isolation as a thing you do, but as a part of a bigger set of spiritual disciplines intended to bring about transcendence. Only some of the Metaphysical Systems are also Transcendental Systems of divination. The Tarot and the I Ching are both examples of this; the Tarot being a system that depicts a journey (through the Major Arcana) from Initiation to Enlightenment, and the I Ching having the potential (from the addition of the Confucian commentaries onward) to understand every oracle as a guide to embodying the Superior Individual; that is, going from the "inferior man" to the "superior man". Since the transcendental systems are almost always the same as the metaphysical systems (that is, not all metaphysical systems can be transcendental, but all transcendental systems also have a metaphysical aspect), the real difference in them is in how you are using them. If you are using a divination tool only as an aid to your own intuition, then you are using a simple oracle; if you are using a divination tool to tap into something bigger than yourself in order to get an answer that would be beyond you, you are using a metaphysical oracle. If you are doing the above within the framework of a full spiritual discipline, of spiritual practice meant to expand your consciousness and lead to self-transformation, and you are interpreting the oracle in the context not of "what answer will most benefit me materially/emotionally/etc.?" but in the context of "what answer will be the best choice for that path of enlightenment?" (or in I Ching, we could say "how can I embody the Superior Individual? "), then you are using a transcendental oracle. And because each by definition encompasses the previous, we can understand each level of divination to be more effective than the prior one. It is better to use an oracle AND seek to understand its system, than just to use it intuitively. It is better to use an oracle system as a process of engaging the symbolism to aid in your self-transformation than to use it only in isolation. 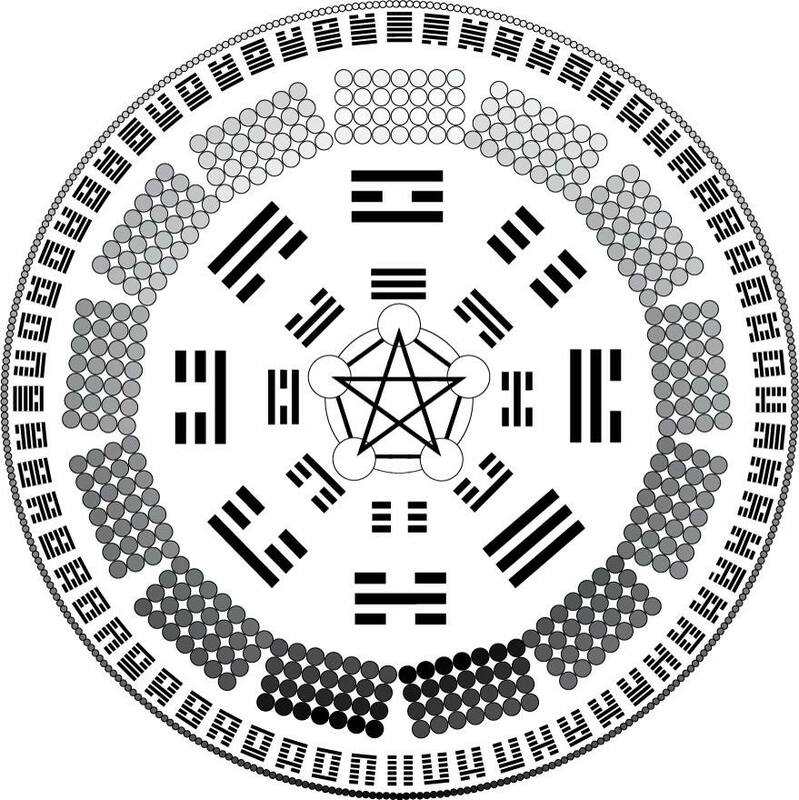 This is the third in the video series explaining more details on the hexagrams of the I Ching. It serves as an additional commentary to material found in the book "The Magician's I Ching". 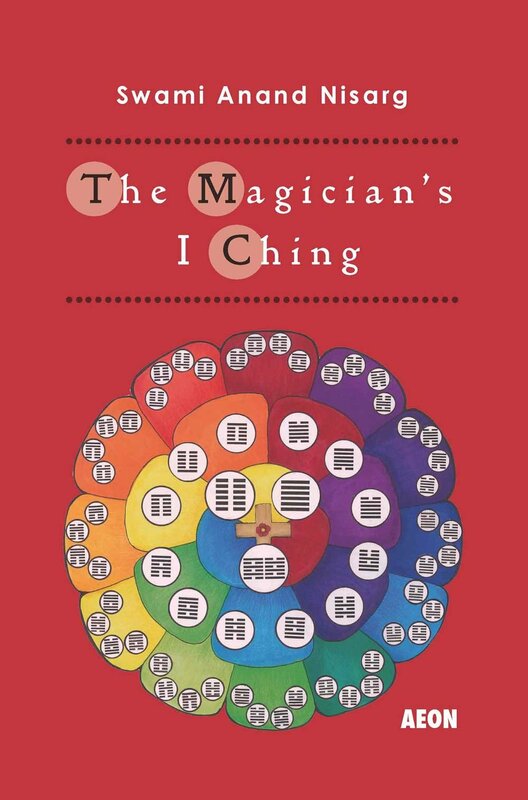 Although not technically part of the Yi Fa Society, the Magician's I Ching Facebook Group would be of interest to any student of the I Ching, including anyone in or considering joining the Society. The Magician's I Ching Facebook Group is a free group open to anyone who is interested in the study of the I Ching. Every day there are new conversations in all sorts of topics related to the I Ching, it's practice, it's use, history, spiritual background, philosophy, and assorted other aspects. It is welcoming to any students of the I Ching, whether they are raw beginners, or highly experienced masters of I Ching studies/practice. Originally, it was set up to promote the book of the same name (The Magician's I Ching), but most discussion is about the I Ching and I Ching studies in general. Please feel free to join us there, and dive in with your questions and experiences!